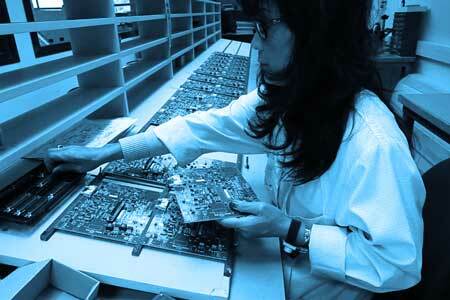 CENTRALP concentrates its skills to realize of your projects in embedded electronics and software. Whether if it’s for CENTRALP products or specific solutions, our teams are at your disposal at every moment and throughout the life of your project. Integration of network elements in boxes. 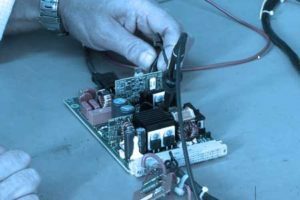 Hardware solutions: R&D for circuits and electronic systems compatible with railway, health care, defence, aeronautical, public works and industrial standards Circuits with COM Express, NCV, ETX, PC104 formats … (customized circuits and systems. Study and implementation of specific power supplies. Software solutions: Real time, graphic, firmware development…. Operating systems: QNX, Linux, Windows EC, XPe, W7, Vx Works, RTX. Environments: ISAgraph, Softlogic. ARM microprocessor environment…. Mechanical integration solutions: Designed on CAD station (solidworks, Autocad), our teams follows you from the integration of electronic cards to the realization of electric boxes. All production operations at CENTRALP are performed in accordance with LEAN MANUFACTURING principles. 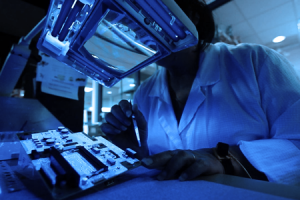 The production of electronic cards is 100% controlled by CENTRALP (screen printing, automated component positioning, brazing oven, wave soldering, selective welding, washing, varnishing). CENTRALP has its own electronic systems production unit (mechanical integration of electronic subsets, power supplies, screens, keyboards…). 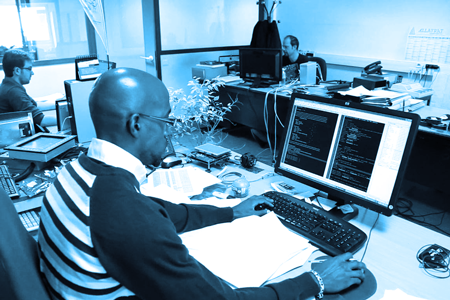 The CENTRALP QUALIFICATION team supports the validation of designs based on industry standards. Our mastery of standards allows us to support you in all your applications. Our laboratory allows the realization of EMC testing (validation COFRAC in progress) through our thermal and Faraday cage. We also assist you in monitoring COFRAC testing. Our QUALIFICATION team operates in the final development of specific projects but also updates products as part of a constant evolution programme.